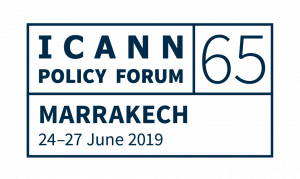 Welcome to ICANN61 | Community Forum for 2018. This six-day meeting will be focused on outreach, capacity building, and showcasing ICANN’s work to a broader global audience. This meeting is hosted by nic.pr. Register: Sign up to attend ICANN61 Now! 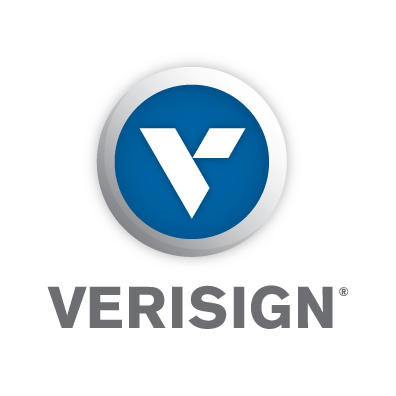 Email validation is required to complete the registration process. Pre-registration is encouraged for all attendees. 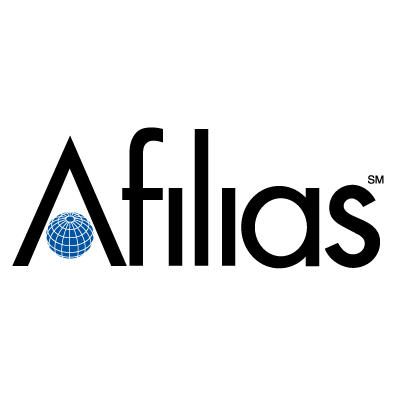 The Puerto Rico Top Level Domain (.pr) is managed by Gauss Research Laboratory, Inc., a company organized under the laws of the Commonwealth of Puerto Rico. Our headquarters are situated in the heart of Río Piedras, Puerto Rico. 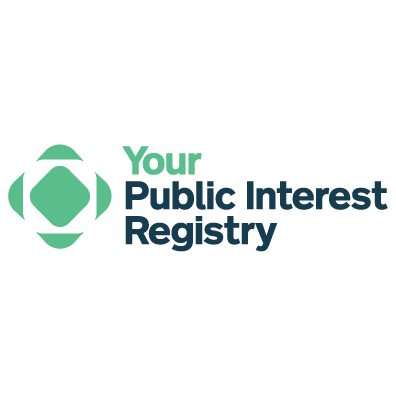 The .pr registry has been operating since 1989, when Dr. Oscar Moreno de Ayala, our founder, embarked on the responsibility of managing it and building its early foundations. Since then, many outstanding individuals have been part of the .pr family and together have given the .pr registry the stability necessary for an uninterrupted operation for the last 28 years. Our main goal is to promote a solid registry that provides Puerto Ricans with accessible services and tools that can aid in the development of a reliable IT community throughout the island. IMPORTANT! Please note that most countries, require at least two (2) blank, unused pages in your passport for entry. Passport and visa requirements for entering Puerto Rico are the same as for entering the United States of America. Please see the United States passport & visa website. U.S. travellers visiting Puerto Rico do not require a passport, but must carry a piece of government-issued photo ID. Notice for U.S. Travelers - starting January 22, 2018, passengers with a driver’s license issued by a state that is still not compliant with the REAL ID Act (and has not been granted an extension) will need to show an alternative form of acceptable identification for domestic air travel to board their flight. To check whether your state or territory is compliant or has an extension, click here. Passengers with driver’s licenses issued by a state or territory that is compliant with REAL ID (or a state that has been issued an extension) will still be able to use their driver’s licenses or identification cards. ICANN has negotiated special rates for the hotels listed below. All rates are subject to availability and booking deadlines. Please confirm deposit and cancellation policies with the hotels prior to booking. This hotel is currently SOLD OUT. Please check availability at another hotel. Sheraton Puerto Rico Hotel and Casino is ideally situated in the Puerto Rico Convention Center District facing the Bay of San Juan. Our hotel is only minutes away from historic Old San Juan and the beautiful San Juan beaches, an ideal location for business or leisure guests. Stroll along the cobblestone streets of Old San Juan, and you will be fascinated by the many historic buildings. Puerto Rico's scintillating nightlife includes exquisite San Juan restaurants, casinos and the infectious rhythms of bomba, salsa and other Latin music. The possibilities are endless with so many things to do in Puerto Rico. Deposit equal to 1 night plus tax is required at the time of booking. Deposit is refundable if cancelled 30 days prior to arrival date and cancellation number is obtained. An early departure fee equal to one night plus taxes will apply if group attendee checks-out prior to the confirmed check- out date. Discover the Caribbean from Hyatt House San Juan. Located minutes to historic landmarks like Old San Juan, El Morro, El Mercado de Paseo Caribe, and the Condado District. Experience local gastronomy, beach sand and fall in love with the many reasons the locals calls this place home. Your slice of the sea awaits with free Wi-Fi, free breakfasts and more. This hotel is within walking distance of the Puerto Rico Convention Center. At Hyatt Place San Juan/City Center, you'll enjoy the comfort you deserve and the convenience you crave. Plus, you'll be in the heart of San Juan, just steps from the beach and historic Old San Juan. This hotel is within walking distance of the Puerto Rico Convention Center. Distance from PPRC: 3.5km - Shuttle will be provided from this location to and from the PRCC. Sorry, there are no rooms remaining in the group block for a particular night. Please contact the Hotel directly for best available rates. La Concha Renaissance San Juan Resort is a stunning renovation of one of San Juan's most elegantly chic properties. On a sun-drenched corner of Caribbean beachfront in the most prestigious Condado district, our hotel in San Juan, Puerto Rico is an icon of modernist architecture replete with spacious exhilarating decor and detail. ICANN will provide a shuttle to the Puerto Rico Convention Center. Guest must call Marriott's Reservations toll free number 1-866-888-1959 for changes or cancellations. The Group Rate is guaranteed for reservations made on or before the February 9th, 2018. Any reservations made after the Cutoff Date shall be at the Hotels then current available rate. Distance from PRCC: 4km - Shuttle will be provided from this location to and from the PRCC. Treat yourself to an upscale stay at AC Hotel San Juan Condado. Our hotel offers a prime location in Puerto Rico's capital city of San Juan. We position you in the bustling Condado District, filled with nightlife and entertainment. Walk to Condado Beach and explore Old San Juan's colorful architecture and historical museums. Following your adventures, maximize your comfort in our modern rooms and suites. We feature modern decor, luxurious bedding and flat-panel TVs. Many of our accommodations also provide private balconies with partial ocean views. After waking refreshed, satisfy your appetite at our AC Lounge and AC Kitchen serving tapas and handcrafted cocktails. During spare moments, get in your daily workout at our spacious fitness center or relax by our rooftop pool overlooking views of Condado and the ocean. We also provide for your business and leisure needs, seven indoor and outdoor event spaces. Whatever the reason for your trip, create memorable moments at AC Hotel San Juan Condado. Distance from PRCC: 3.75km - Shuttle will be provided from this location to and from the PRCC. Upscale amenities and the beach setting blend seamlessly at San Juan Marriott Resort & Stellaris Casino, offering you a memorable stay in San Juan, Puerto Rico. Enjoy our unbeatable oceanfront location with easy access to popular attractions such as Old San Juan, Condado Beach, Isla Verde and plenty of shopping and dining within walking distance. After an exhilarating day exploring the island, retire to our spacious rooms and suites featuring soothing décor, pillowtop mattresses and awe-inspiring ocean or city views. While conducting business in Puerto Rico, you'll appreciate our accommodations featuring large workspaces and Wi-Fi service. When downtime arises, take advantage of our state-of-the-art fitness center, then head to our resort-style pool and enjoy beautiful weather regardless of the season. Plan a successful stay in San Juan Marriott Resort & Stellaris Casino. Shuttles will be provided from the Condado area location to and from the PRCC. Stop locations will include La Concha Resort, AC Hotel by Marriott and San Juan Marriott Resort. ICANN will provide shuttle service between the Puerto Rico Convention Center and all ICANN preferred hotels. Click here to view the Shuttle Schedule. Metered taxis come in a range of models and colors – all have a yellow sign on top and yellow stickers on the sides. Taxis can be hailed on the street, prearranged with a concierge, or picked up at taxi queues outside hotels, airport, or other major venues. Taxis are cash-only and accept only United States Dollars (USD). Credit and debit cards are not typically accepted. Receipts are provided upon request. Uber operates and is available in San Juan. Other similar services, such as Lyft, do not have operations in San Juan at this time. 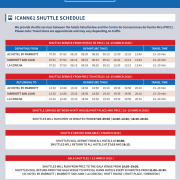 ICANN will be providing shuttle service between the Puerto Rico Convention Center and ICANN preferred hotels including, Hyatt House, Hyatt Place, La Concha, AC Marriott, and Marriott San Juan. Zone 5: Convention Center, Hyatt House, Hyatt Place, Isla Grande Airport, Sheraton Convention Center - Base price $15 USD. $1 USD - Luggage charge will apply to each additional item. $0 USD – Accessories for disabled person are free of charge. $2 USD – Extra charge for 6th-7th passenger. *Metered rates will apply for areas between and beyond tourist zones. Main Station; Arrival level at Terminal A for Terminal A passengers. Arrival level at Terminal B, outside of Baggage Claim areas of Terminals B & C.
The alternative mode of transportation between San Juan Airport and your hotel is a pre-booked, private car service through ICANN's contracted Destination Management Company (DMC). Make sure you confirm final costs, cancellation policies, and terms and conditions before booking. Cancellation requests must be sent via email to airporttransfer61@gsipuertorico.com, at least 48 hours prior to the scheduled service. Cancellation requests received with less than 48 hours notice will be charged the full price of the transfer service, at the DMC's discretion. Please email airporttransfer61@gsipuertorico.com with any changes to your flight arrival or departure itineraries (including flight delays) in a timely manner. If you fail to show for your original scheduled arrival flight or departure transfer without prior notification, you will be charged for the full price of the scheduled service. Group Services, Inc. (GSI) will not provide you with a smaller vehicle than requested, however GSI reserves the right to utilize SUV's in place of sedans at no additional cost to the customer. As a convenience to the community, ICANN provides links to reference information about traveling to Public Meeting locations. 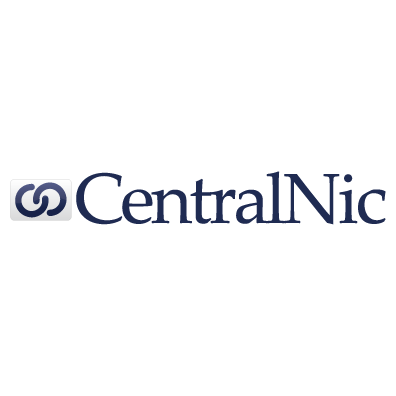 Please note that the links below come from third-party resources, are given for illustrative purposes, and have not been verified or reviewed by the ICANN organization. Sources include both private and government websites. When visiting any host country, it is the responsibility of each traveler to learn about visa requirements and stay informed about all information specific to any ICANN meeting location. Check with your local government bureau responsible for international travel for additional information on local laws that may be different from your country or region of residence. The ICANN61 meeting website highlights important information, including visa information. Many government bureaus responsible for international travel information publish traveler checklists (example here). The Meet Puerto Rico website contains useful information for travelers. As a guest in any country, you are responsible for understanding and respecting the local laws and customs. ICANN recommends checking with your local government bureau responsible for international travel for additional information on local laws that may be different from your country or region of residence. Meet Puerto Rico website provides useful information about business etiquette, language, and culture – see Overview and other interesting facts. ICANN encourages checking with your local government bureau responsible for international travel for additional information and recommendations for cultural considerations. For dining options and contact information of local restaurants. Destination Puerto Rico offers local tours and activities for participants arriving early or departing a few days after the conclusion of ICANN61. For additional information, browse and book options here. To view the block schedule CLICK HERE. The comprehensive meeting schedule will be posted on Monday, 19 February 2018 at https://61.schedule.icann.org/. The mobile app will soon be available at https://61.schedule.icann.org/. Or search App stores for 'ICANN61'.